Go to the Plant Kingdom and ask for Tony or Shelley They will have one or know where to get one. Each fall season I am always amazed at the beauty of the Yellow Buckeye, Aesculus flava. This is the largest of the Buckeyes growing 60 to 80 feet in height. Yellow Buckeye is the only buckeye with foliage still left when fall color comes along. Between the size of the tree and the yellow with a hint of orange fall color, it is easy to tell this Buckeye from the others. Another tell-tale sign that it is Yellow Buckeye is the husk that the Buckeyes are held in have a smooth outer covering as opposed to a spiny outer covering that Ohio Buckeye and Horsechestnut have. The flowers are upright panicles of creamy yellow flowers, 10” to 12” in size. There are a number of beautiful Yellow Buckeyes in Spring Grove Cemetery and Arboretum. Yellow Buckeye is an easy tree to grow. It is drought tolerant, relatively fast growing, and free of insect and disease problems. 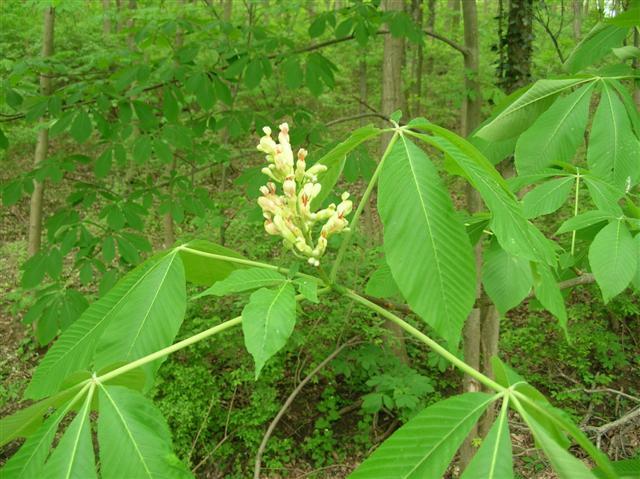 With the large palmately compound leaves and orange-brown, non-sticky buds, not many trees look quite like a Yellow Buckeye. The classic buckeye seed are encapsulated in large 4-5 inch smooth yellowish-brown husks. If you ask most people around our region to name the most common Buckeye most would say Ohio Buckeye. In reality most Buckeyes in our region are the Yellow Buckeye. 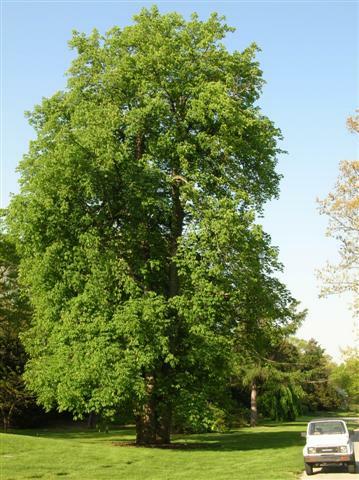 So if you are out looking at trees in the next few weeks look for our native Yellow Buckeye, Aesculus flava. Bloom history: (Recorded in Cincinnati, Ohio, unless otherwise noted) 4/3/2012 until 4/24/2012 See other plants that bloom at this time.